Conflict resolution organizations like CMI can play an important role in solving the climate crisis, former US Vice President and Nobel Peace Prize laureate Al Gore says. He emphasizes that climate change is already exacerbating conflicts around the world. 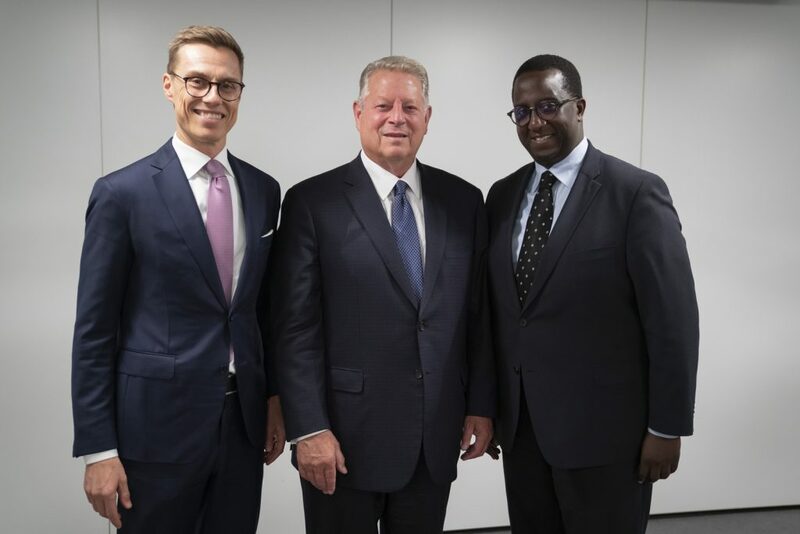 Gore gave an exclusive interview to CMI on climate change ahead of his visit to Finland. “I am inspired by the millions of grassroots organizers peacefully marching in the streets, protesting, and calling attention to the critical need to address the climate crisis”, Al Gore says. For most of his adult life, former US Vice President Al Gore has warned of the dangers of global warming. In 2007, he and the Intergovernmental Panel on Climate Change (IPCC) were awarded the Nobel Peace Prize for their efforts to raise awareness about climate change and lay the basis for measures to counter it. The challenge of climate change has recently gained new urgency, as the IPCC has released a new report warning that our planet is warming at an alarming pace. Urgent measures are needed. In an exclusive interview with CMI, Gore discusses how he remains optimistic that humankind can change course, highlighting the role of ordinary citizens, business and independent conflict resolution organisations such as CMI. 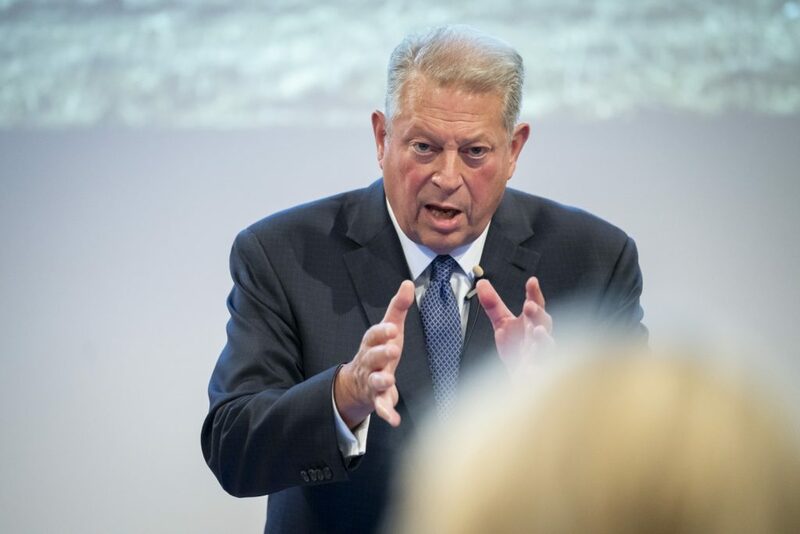 Gore gave the interview by email ahead of his visit to Finland, where he spoke at an event titled Our Planet in Crisis and the ‘Sustainability Revolution’. CMI organized the event in cooperation with Generation Investment Management, a sustainable investment management firm co-founded by Gore. 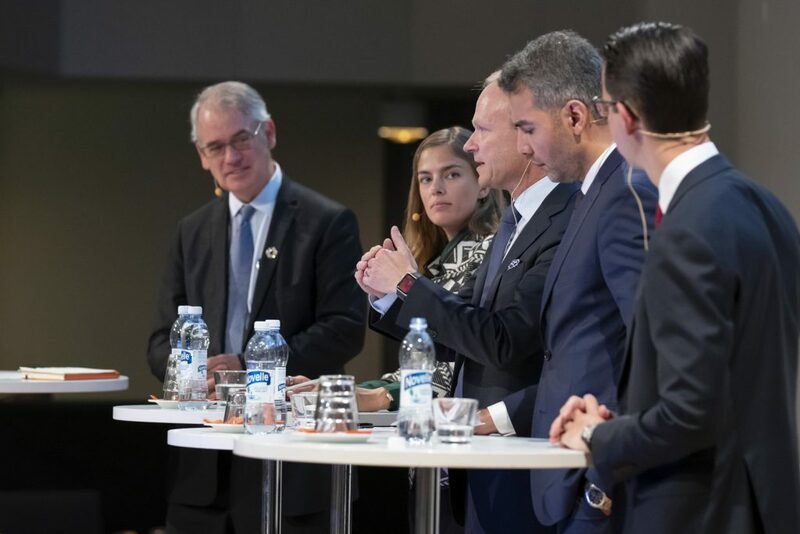 CEO of Carbo Culture, Pia Henrietta Kekäläinen; CEO of Fortum, Pekka Lundmark; CMI’s advisor, Hussein Al-Taee and Head of Wealth Management at Danske Bank, Jacob Aarup-Andersen, talked about the measures needed to tackle climate change. The panel discussion was moderated by Sean Kidney, CEO of Climate bonds initiative. The effects of climate change are increasingly visible in conflict areas where CMI works. Climate change is one of the root causes of the devasting crisis in Yemen, for instance. Water scarcity fuels violence. In Gore’s view, addressing the links between climate change and conflicts should be a top priority. “The climate crisis has the ability to, and is in fact, already exacerbating conflicts around the world. It contributes to drought and other extreme weather events that can lead to destabilization in many regions of the world”, Gore says. He reminds us that, in 2011, a Tunisian food vendor set himself on fire in the middle of the street as a result of the exorbitantly high food prices due to climate-driven crop failure. This incident marked the beginning of the Arab Spring. Gore says that conflict resolution organisations like CMI can play “a profound role” in solving the climate crisis. They can actively recognize when climate change contributes to the disputes they seek to settle, Gore points out. CMI’s long-term supporter, Maria Bondestam, brought up the need to protect children from climate change. 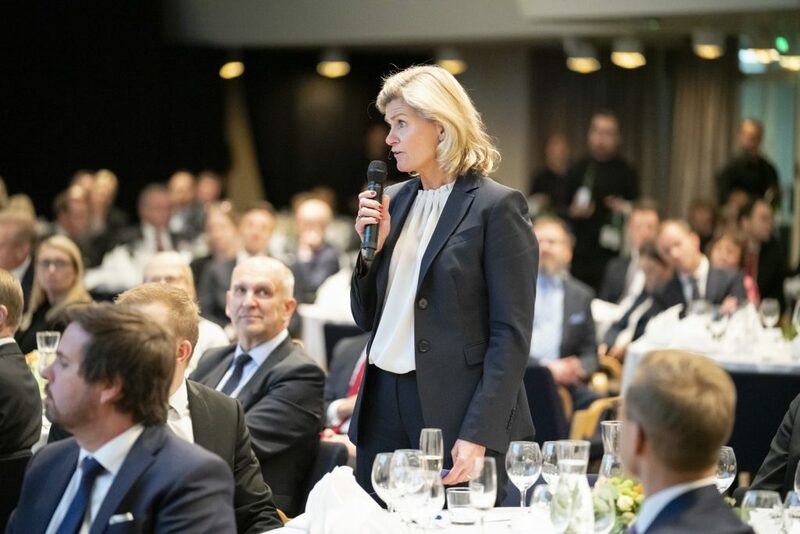 Bondestam is Co-Founder and Chair of Eva Ahlström Foundation. Gore describes sustainability as history’s biggest investment opportunity. But how can businesses combine profit with sustainability? Gore argues that the sustainability revolution is already changing how societies function. Gore says that the drivers of economic change are now not only integrally linked to sustainability, but will also continue to be increasingly dominated by it moving forward, ultimately driving investment returns. Different industries, ranging from mobility to food systems to built environment, are being changed in fundamental ways to create a low carbon economy. It’s easy to feel disheartened by climate change. How to be optimistic? What personally motivates Al Gore to keep going? “I have been fortunate to have a cause that feels like it justifies pouring every ounce of energy I have into it. I am inspired by the millions of grassroots organizers peacefully marching in the streets, protesting, and calling attention to the critical need to address the climate crisis”, he says. He refers to the Climate Reality Project, an NGO that he founded in 2006. So far the project has trained over 17 000 people in over 150 countries to mobilize their communities against climate change. Gore shares the same philosophy as his fellow Nobel Peace Prize laureate, President Martti Ahtisaari. As CMI’s founder, Ahtisaari often stresses that building lasting peace requires creating win-win solutions for all conflict parties. He points out that the reverse will lead to a lose-lose scenario.